On 10th February I left Zürich around 4:30 am, with a plan to reach BMW in Munich by 8 am. Because of traffic I was a little late but when I saw my reward for getting up early, all smiles. Last time I had a car from BMW was 2013 when I took their BMW Z4 sDrive35i for a 10 day trip to Romania. Something I will forever be thankful for that they even allowed me to do that route with a press car. 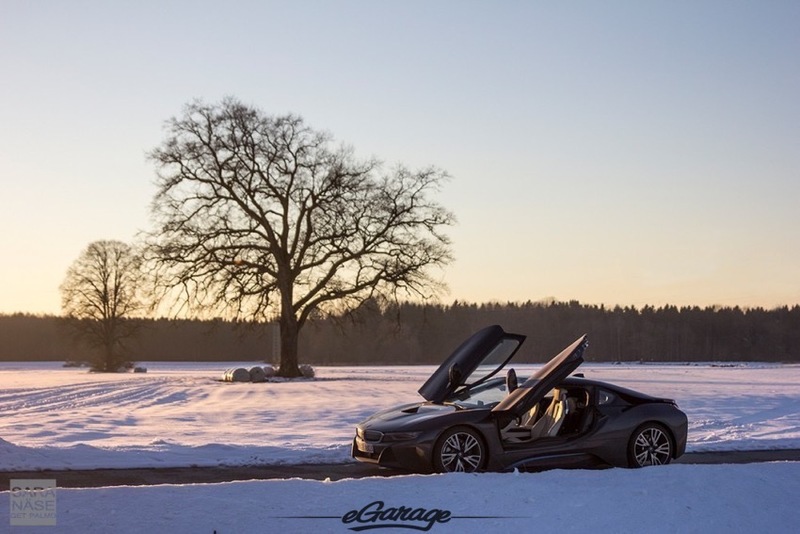 This time it was time to pick up something completely different for a day – the hybrid sports car BMW i8. I have never had a big interest in hybrid cars. Maybe because I belong to a generation that does not feel like we have had enough of petrol cars yet? I can understand that someone who has enjoyed petrol engines for the past 20-40 years might welcome new technology with big curiosity. 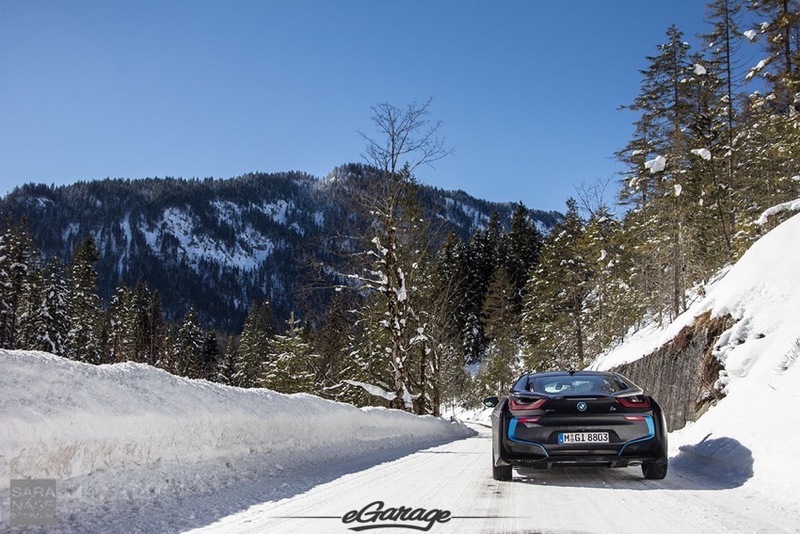 I worry more about the era of petrol engines coming to an end before I have had time to fully enjoy all of those cars with CO2 emission numbers closer to 400-500g/km (…i8 is 49g/km). Which of course most likely will not happen during my lifetime, but the transfer has begun. So my slightly negative attitude towards hybrids (and all-electric cars also) is in reality a fear to lose petrol engines for good. 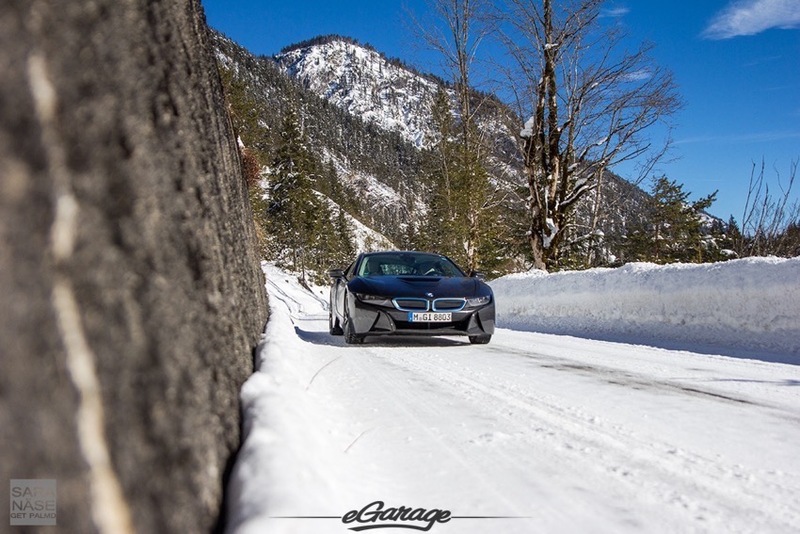 Because no matter how I thought about it, it felt like a hybrid or electric car can never be as good, as nice sounding, as exciting – you name it – as a sports car with petrol engine only. 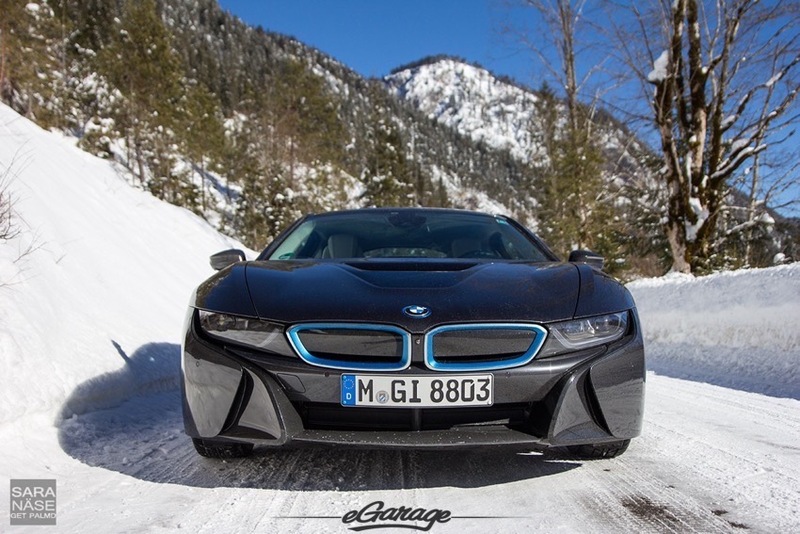 Now when I had the chance to enjoy a BMW i8 for a day and 500 km I can admit I was wrong. 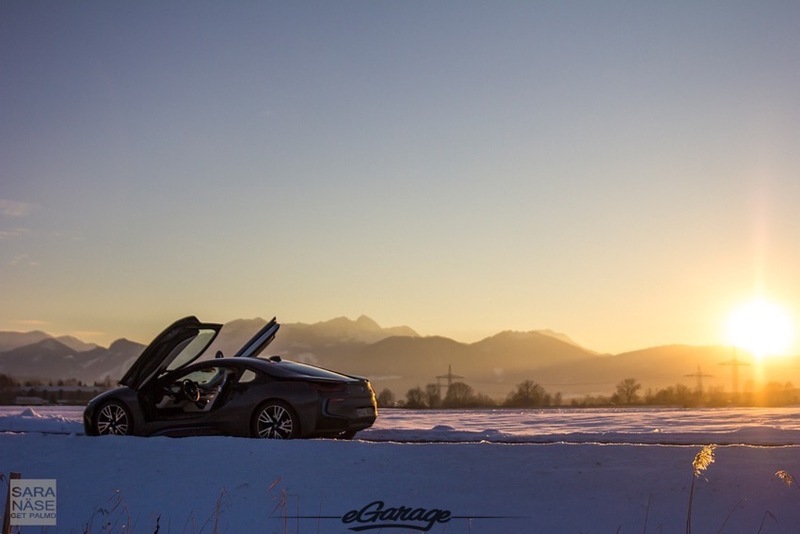 I have briefly tried a Tesla P85 as well, which is an interesting car, but if I today had to make a choice between those two based on short first impressions it is an easy one – BMW i8. It looks better, and of course, it has some sounds which the Tesla totally lacks. I think Tesla as a brand is fantastic but personally I am not ready for an all-electric life yet. A hybrid is a decent compromise, to get a little bit of both worlds. Earlier I thought especially hybrids do not make much sense, it should be either all-petrol or if something else then all-electric (Tesla), but to be honest combined 2.1L per 100 km in a handsome hybrid… That is not an expensive to run daily driver. Makes sense. 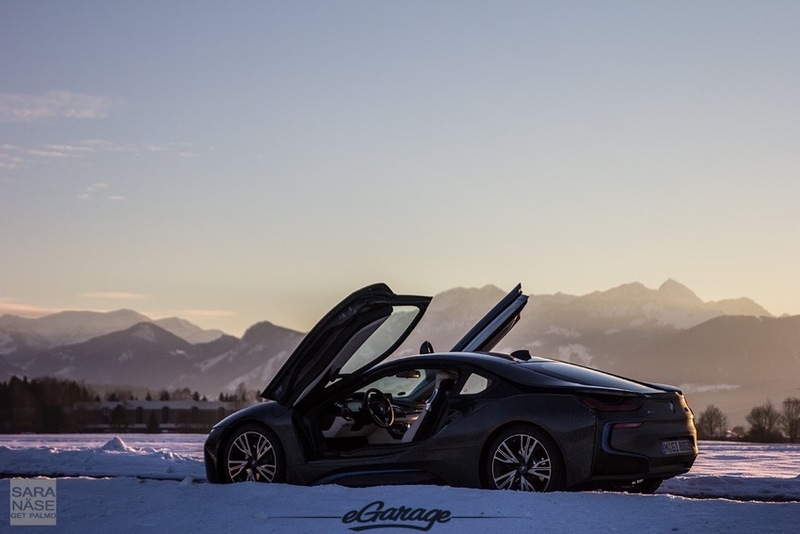 To start with the design of the BMW i8, which is futuristic and pleasant to look at. 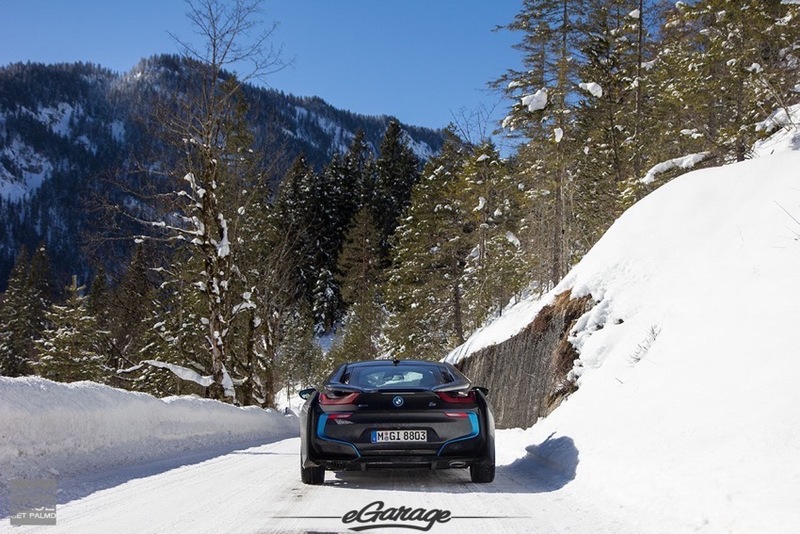 When it comes to rears of cars I am very hard to please and that is the case with the BMW i8 as well, I do not think it looks great from behind. It just looks alright. But from every other angle it looks fantastic, doors open, doors closed. 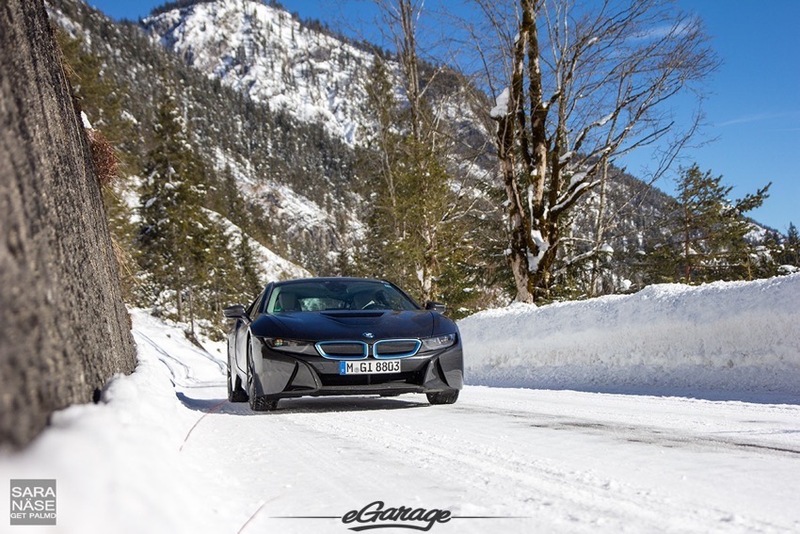 The all-electric range is 37 km and in total BMW says the BMW i8 should be capable of around 600 km. Roughly 500 km later I still had almost 100 km left to go, and at least half of the time I was driving in a way that is nowhere near economical driving. Flipping to sport mode each time it was time to accelerate out on the autobahn, because you do not only want to feel the speed, you also want to hear it. 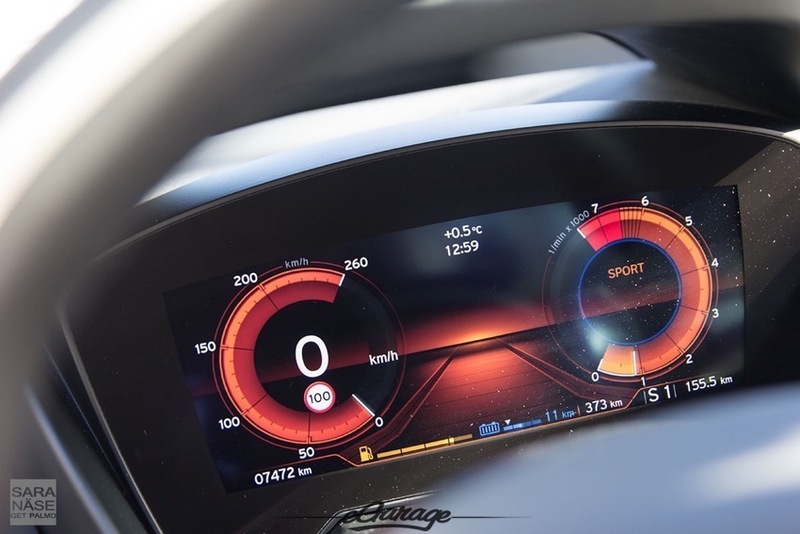 If you stick to highway speeds of 120-130 km/h you would burn less fuel, but because the BMW i8 is very comfortable to drive at 160-200 km/h (no 250 km/h top speed testing in those daylight conditions, too much traffic on the autobahn), why slow down? 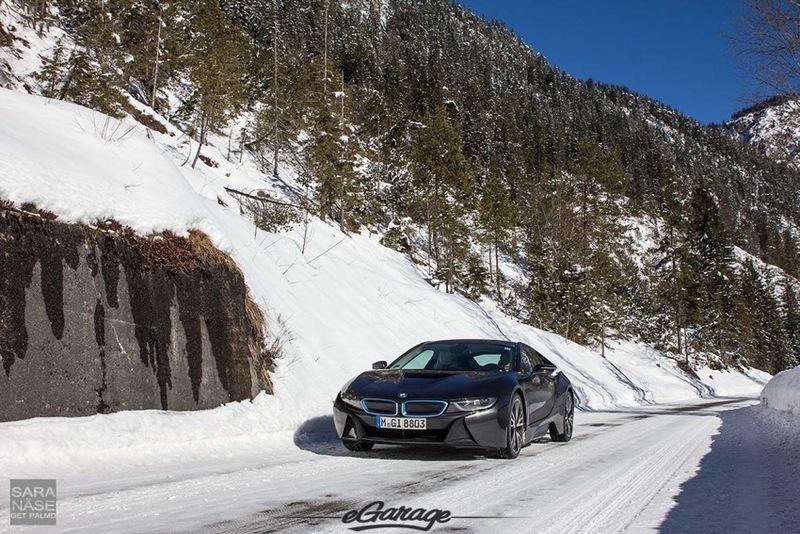 With my driving style I rarely get to the fuel consumption numbers manufacturers promise for their cars, but with the BMW i8 I at least got very close. And I did not sacrifice even a minute of joyful driving – I drove it just the way I wanted to, and would drive any other fun sports car. The logical explanation might be that in Sport mode the car feeds the battery with more energy, and obviously there were a lot of occasions in towns for example where I tapped that eDrive button to use as much electric power as possible. So I learned how to drive a hybrid in a way that makes most sense. Feed the batteries, accelerate harder (…), calm down, roll electric. Then to the complaints, just a few. 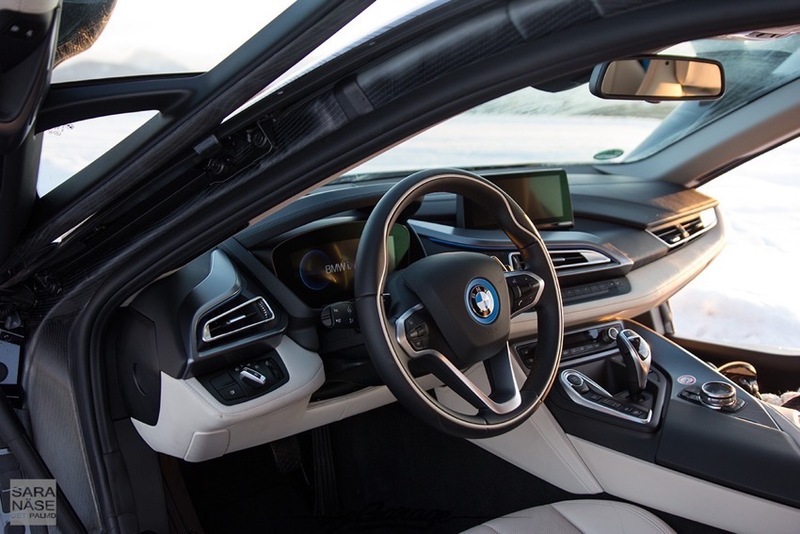 I personally do not love the interior, perhaps because I was so impressed by the exterior that when I got in the car the reaction was “oh, it is just a normal BWM”. Which it really is, and probably there are votes both for and against that design philosophy. Personally I thought that maybe a car that looks this futuristic would have deserved a new approach to car interior design, something new thinking, but now it is what it is. Safe BMW, you know exactly where to find the button you need. The scissor doors are beautiful, but it makes getting into the car a little harder. It felt like there was no quick way to get in, you want to do an elegant “swing in” the driver’s seat but it was not that easy. I sacrificed elegance in the end. However first impression of the car is that it is admirable BMW managed to create one like this. It is not perfect by any means, I still do not like the idea of having artificial sounds but I realize with hybrids it often has to be done like this if you want an exciting audio experience in the cabin. My complaint is however that the noise that reaches the cabin, which surely is loud and enjoyable as well, sometimes has a slightly monotone sound in Sport mode. A bit soulless. In electric mode, the car almost sounds like an airplane (not as loud of course, but that sound is similar). On a small single lane road I was driving up behind a couple walking in the middle of the road, waiting for them to move over to the side or at least turn around. Few hundred meters later I was still rolling behind them. Stopped. They never noticed I was there, did not turn around once. 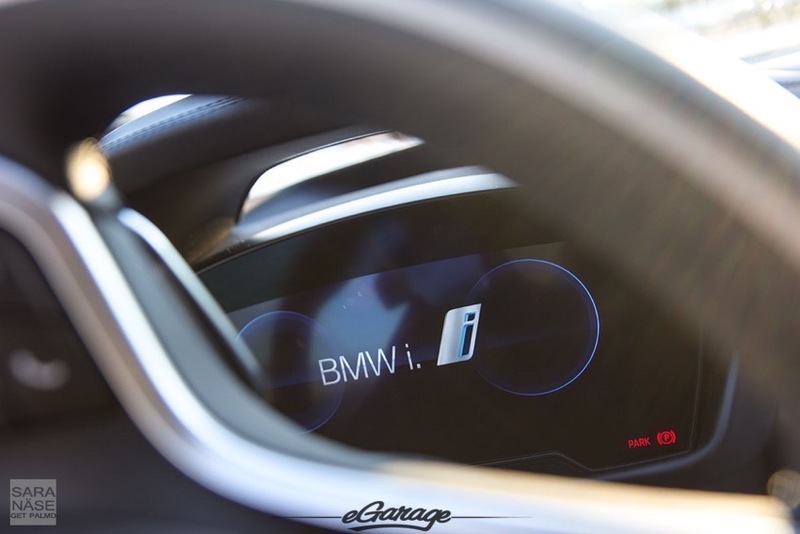 Poor hearing, perhaps, but anyway the BMW i8 is nearly silent in all-electric mode. The sacrifices or compromises, in my opinion more related to comfort and practicality rather than driving pleasure, are in the end small when you think of what you get as a complete package. Keep in mind it has a 1.5L turbocharged inline-3 engine with 228 hp, and a hybrid synchronous motor, 129hp, giving a combined 357hp @ 570 Nm. And this 1485 kg car is fast: 0-100 km/h in 4,4 seconds and 80-120 km/h in 4th gear 3,4 seconds. It is a hybrid sports car that is fun to drive and gives you a driving range as promised, even if you step on the accelerator a little harder than necessary. 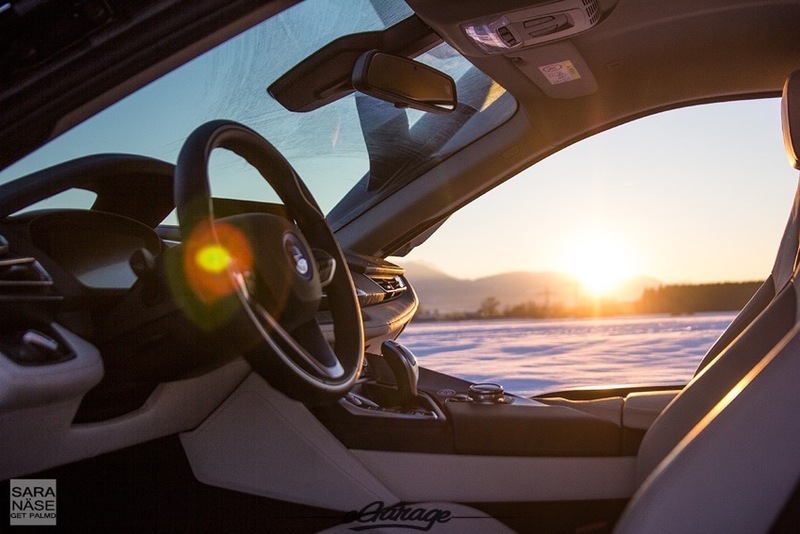 Take it on snow and the 4wd + traction control will keep you on the road even if you corner it a bit faster than recommended in certain road conditions. It did slide a little even with traction control on, obviously had to test how it behaves on snow, but the important thing was that not once did I feel I was about to lose control of the car. Which makes it a very practical – and fun! – daily driver also for winter use. I am not in love, at least not yet, but lets be honest, I am very impressed and also very curious about the future. 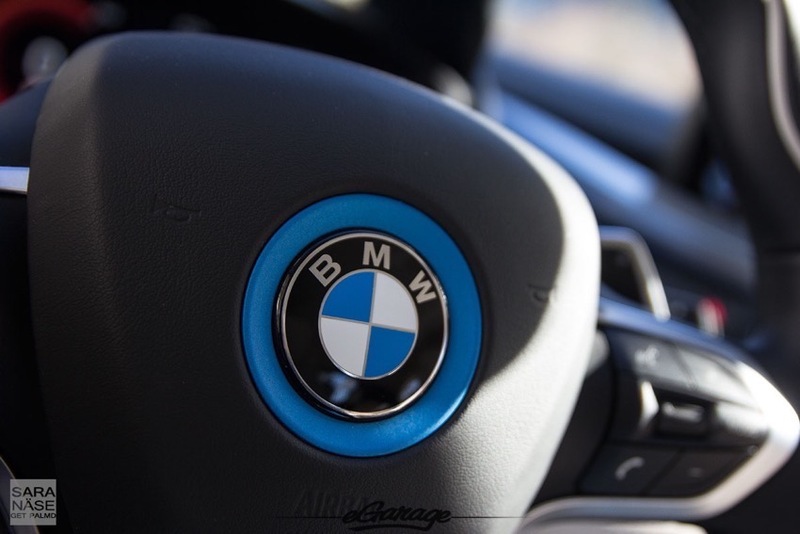 They have a great technology to develop further and hope to see something a bit more brutal from BMW next time, one step closer to BMW hybrid supercar. BMW i8M? Hope they put a wing on it! 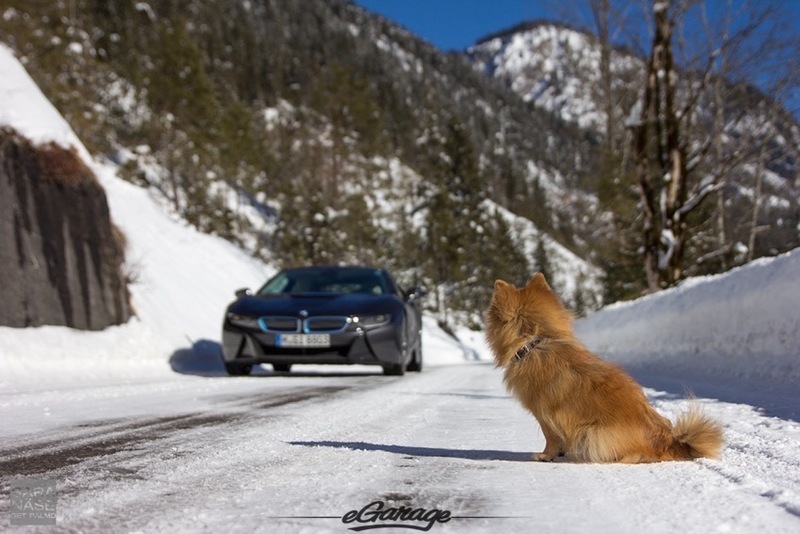 When I returned the car to BMW after 6 pm I left it there with a wish to one day meet an i8 again for a road trip. If I want to see someone a second time it is an excellent sign!